What could help spread tolerance? 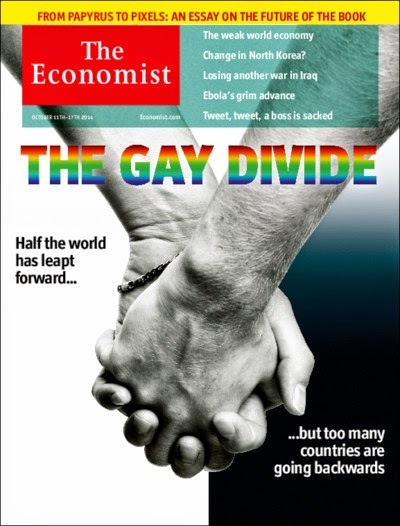 If the past half-century is any guide, the prime movers will be gay people themselves. The more visible they are, the more normal they will seem. These days 75% of Americans say they have gay friends or colleagues, up from only 24% in 1985. But it is hard to be the first to come out in a country where that means prison or worse. Some Westerners would like to use aid budgets as leverage. That may have helped in Uganda, but attaching conditions to aid usually fails, and cutting it off may hurt the poor more than it helps gay people. It would be better to offer financial support to local gay-rights groups, to be generous when those persecuted for their sexual orientation seek asylum, to shame Western conservatives who encourage bigotry abroad and to buttress tolerance at home. 'I'm not willing just to be tolerated. That wounds my love of love and of liberty' - Jean Cocteau, 1928.